Ladies sportlegging with comfortable elastic band that ensures that the leggings have a nice fit. 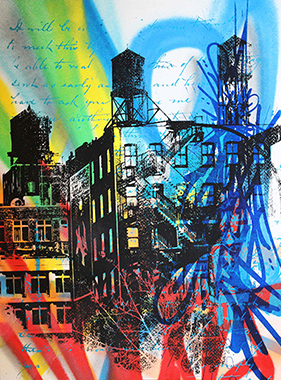 The sports laying has a striking print based on graffiti artworks. Ladies sportslegging with unique graffiti prints. Thanks to the high waist, this sports fitting is Squatproof and ideal for fitness and the gym. The special sports laying is often used for Zumba, Yoga or an intensive lesson in pole dancing. Thanks to the combination of 10% Elastane and 90% Cool Down Polyamide you will not get warm due to the optimal moisture regulation. The fabric is provided with UV protection for the skin and ensures that the colors do not become lighter. Thanks to the use of Max Stretch material, the legging is not translucent when there is voltage on it. So you can play carefree with the sports laying of Graffiti Beasts. Each legging has a handy pocket for your phone, membership card or other item.